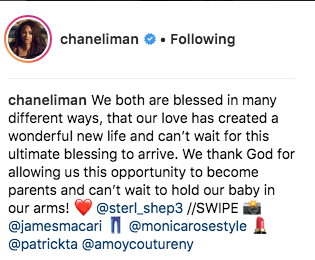 Two months ago model Chanel Iman and NFL player Sterling Shepherd tied the knot [click here if you missed that]. 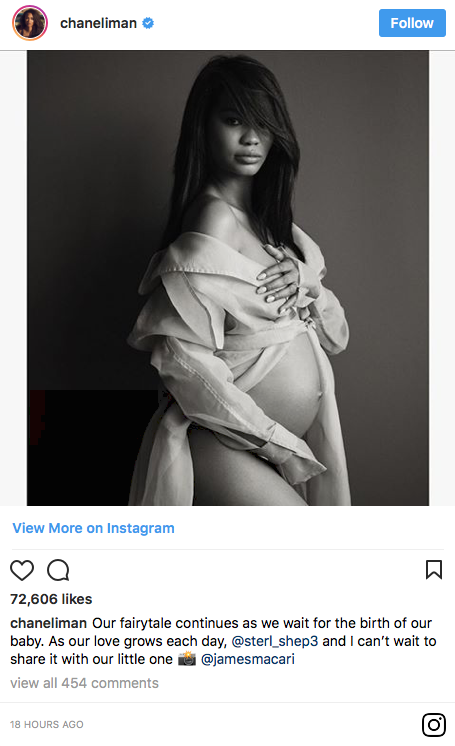 Yesterday on Mother's Day Chanel announced she and Sterling were expecting their first child together by showing off her baby bump. Glad they got married before the baby arrives. Blessings on their union. Snitch umm WE announced it when you posted them and the quicky marriage. lol @ 4:27pm. 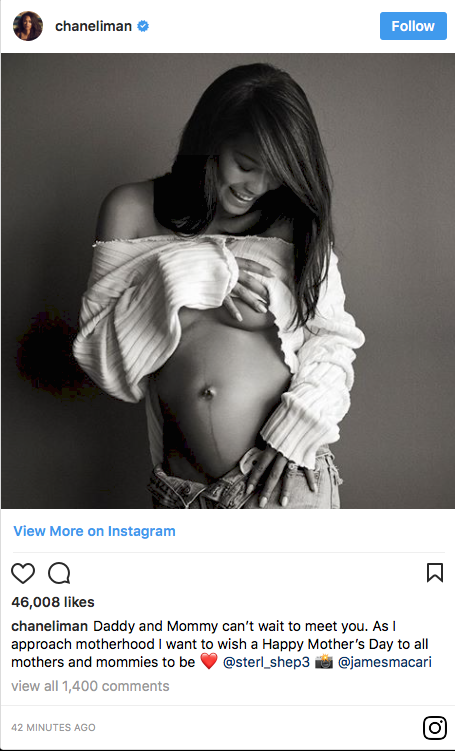 right it was so obvious she was pregnant. congrats. at least ole boy went through with it. lol. they are young so it's iffy if it will work but i hope they have a fun family while it lasts lol.